WASHINGTON/MUNICH -- Daimler is conducting a search for U.S. criminal defense lawyers to represent company executives who may be swept up in the Justice Department’s investigation of possible diesel-emissions cheating, people familiar with the matter told Bloomberg. The outreach suggests that prosecutors have identified people at the company they plan to interview as they examine whether the German automaker installed devices in its Mercedes-Benz diesel models in an attempt to evade U.S. environmental laws, said two people, who spoke on the condition of anonymity. It’s unclear whether the executives seeking counsel are based in the U.S. or Germany. The developments at Daimler are part of a widening diesel-cheating scandal that has shaken the auto industry and cost Volkswagen AG more than $24 billion in government penalties and owner restitution. Last week, truck owners filed a lawsuit against General Motors and the Justice Department sued Fiat Chrysler Automobiles over similar allegations. Also last week, police and prosecutors in Germany raided nearly a dozen Daimler facilities as part of an emissions-rigging investigation that began in March. Daimler spokeswoman Ute Wuest von Vellberg in Stuttgart, Germany, said the company wouldn’t comment on a pending investigation. Justice Department spokesman Wyn Hornbuckle declined to comment. U.S. regulators have put greater scrutiny on diesel models after Volkswagen admitted in 2015 to using software that turned on emissions controls to pass tests but then turned them off during driving. The Clean Air Act requires carmakers to obtain certification from the EPA that a vehicle meets federal emission standards before selling it. Those applications require that automakers list all emission controls on the vehicle and guarantee that they don’t contain any so-called defeat devices, which are prohibited. 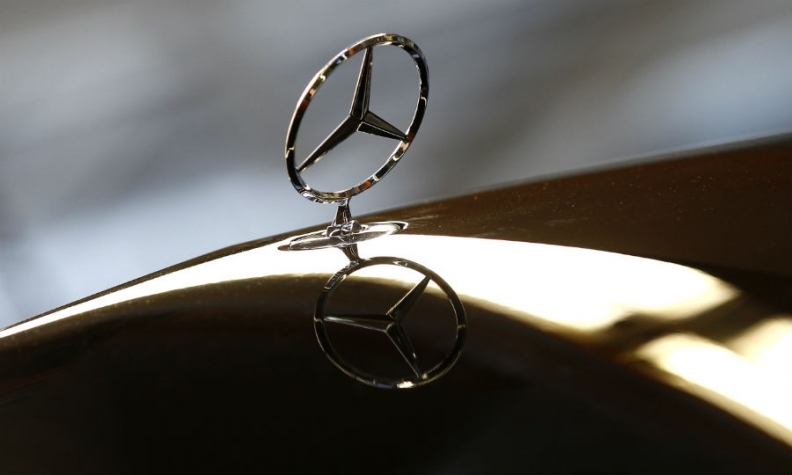 Daimler hinted in a filing last month that the U.S. investigation might be gaining traction. “It is possible that further civil and criminal investigative and enforcement actions and measures relating to Daimler and/or its employees will be taken,” Daimler said in the filing, in which it noted that subpoenas and other information requests could be forthcoming. In another sign of an intensifying U.S. criminal investigation of Daimler, the Justice Department last month sought to intervene in a private lawsuit in New Jersey that alleges fraud involving Daimler’s BlueTEC diesel technology. Prosecutors sometimes ask judges to hit the pause button in a civil matter if it might interfere with a criminal investigation. Daimler disclosed in April 2016 that federal and state authorities in Europe and the U.S., including the Justice Department, the Environmental Protection Agency, the California Air Resources Board and the Securities and Exchange Commission, were investigating test results and emissions-control systems used in Mercedes-Benz diesel models. The company hired investigators from Deloitte Touche Tohmatsu to help gather documents and emails on its diesel-engine emissions after the Justice Department asked it to conduct an internal investigation. Daimler’s Mercedes-Benz unit this month gave up an attempt to get U.S. approval for some 2017 diesel models. It cited an arduous certification process and said there wasn’t enough demand for the vehicles to justify the certification effort. In addition to the carmakers, Germany’s Robert Bosch GmbH, which supplied software for Daimler’s diesel engines, is also under investigation by the Justice Department for its role in the emissions rigging scandal, people familiar with the matter have said. Bosch, which has said it’s cooperating with authorities, supplies Volkswagen and Fiat Chrysler, among other carmakers. The truck owners who sued General Motors last week over its emissions claims also named Bosch as a defendant.